EuroNews has started broadcasting in high definition via satellite, to reach viewers across Europe, North Africa and parts of the Middle East via the Eutelsat Hotbird satellite position. The HD feed launched this morning from the Hotbird satellite cluster at 13 degrees East. initially with an English language feed using DVB-S2/MPEG4. Euronews SD, with its multiple language feeds, will continue as normal. 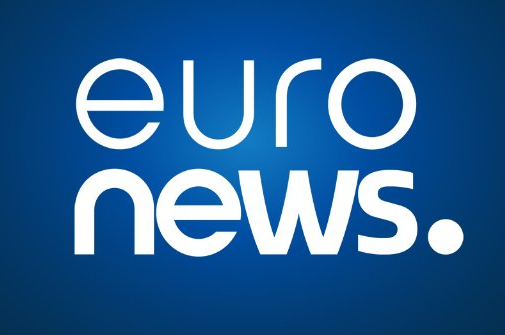 Although EuroNews HD won't be receivable on standard UK satellite set-ups, which are designed to receive transmissions from the Astra 2 satellite cluster, the new feed will provide IP and cable operators the chance to access the high definition version of the channel, subject to carriage deals. The Hotbird satellites are the main direct-to-home satellites for numerous Eastern and Southern European countries, including Poland and Italy. UK viewers with a European or motorised satellite system that includes Hotbird should rescan their HD receivers to see the new HD service (manual tuning details below). In the UK, EuroNews recently pulled its distribution on Freesat, but continues in standard definition as a free-to-air service on Astra 2 and via the Sky EPG. One of our regular contributors has observed technical changes on three BBC HD satellite channels, indicating the BBC is preparing to offer Sky viewers in the Republic of Ireland access to BBC Four, CBBC and CBeebies in HD. These channels are already available in standard definition. A go live date hasn't been publicised yet. BBC channels are offered to Sky customers in the Republic on a commercial basis. As is now the case for all main BBC channels, the versions being offered to viewers in the Irish Republic do not include BBC Red Button. The Jazz music station has dropped Freesat carriage, but continues free-to-air via satellite on Astra 2G, so Freesat listeners will need to manually tune the station to regain access.